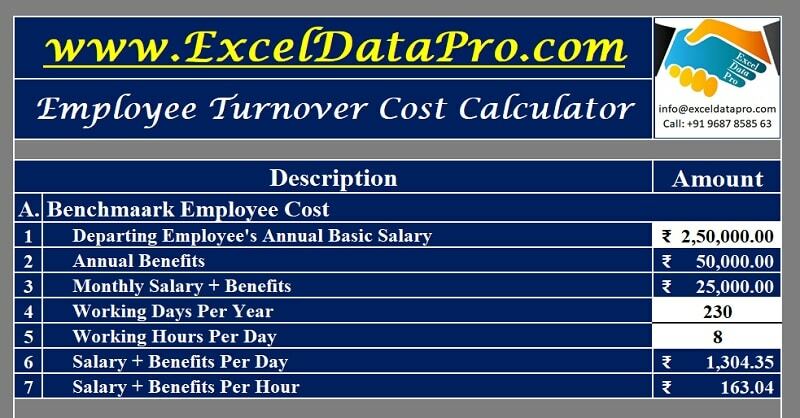 HR metrics are measurements used to determine the value and effectiveness of HR initiatives, typically including such areas as turnover, training, return on human capital, costs of labor, and expenses per employee. 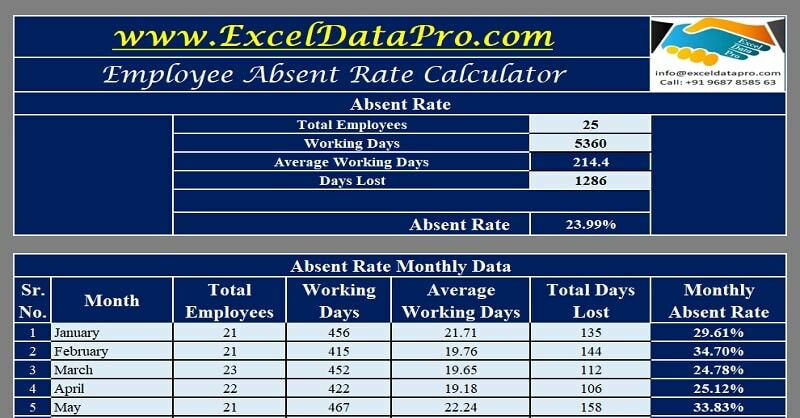 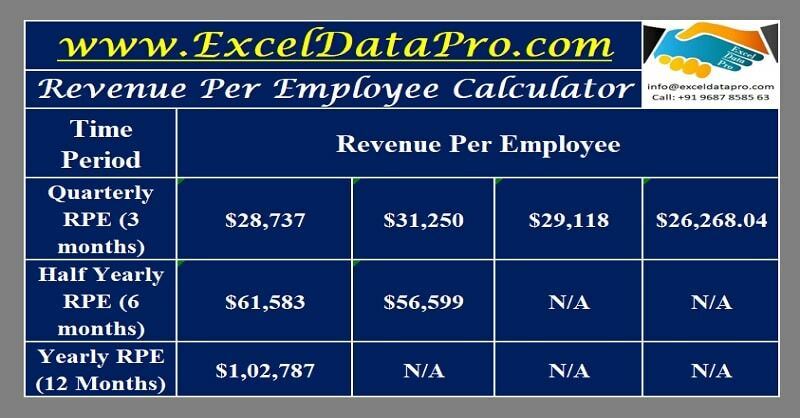 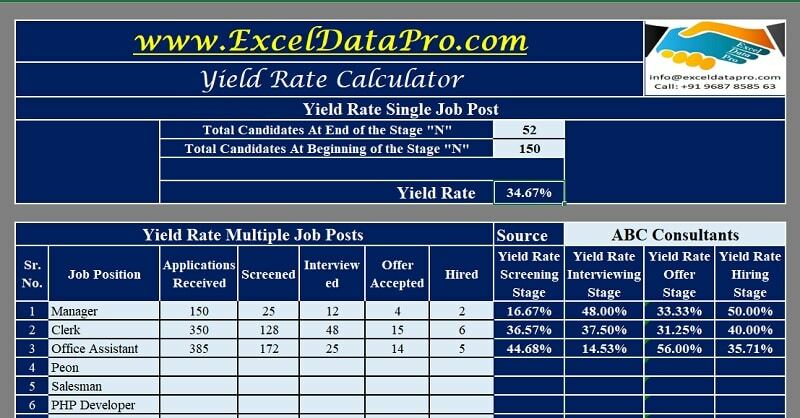 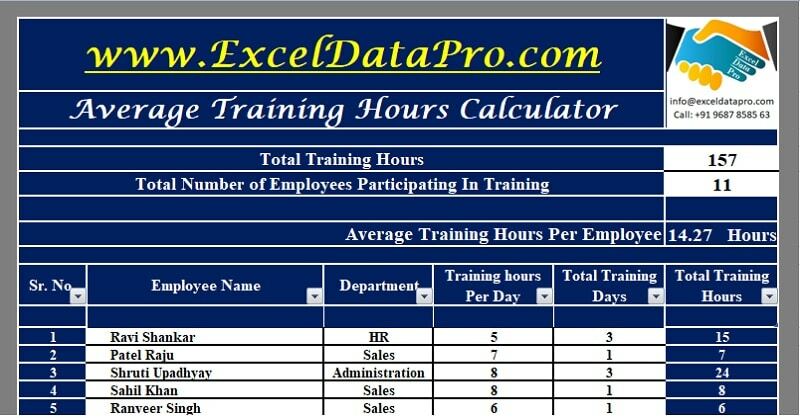 We have created Ready-To-Use HR Metrics Excel Templates with predefined formulas. 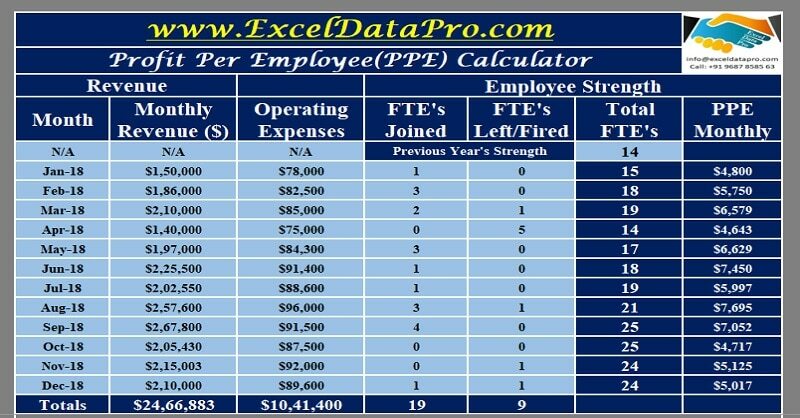 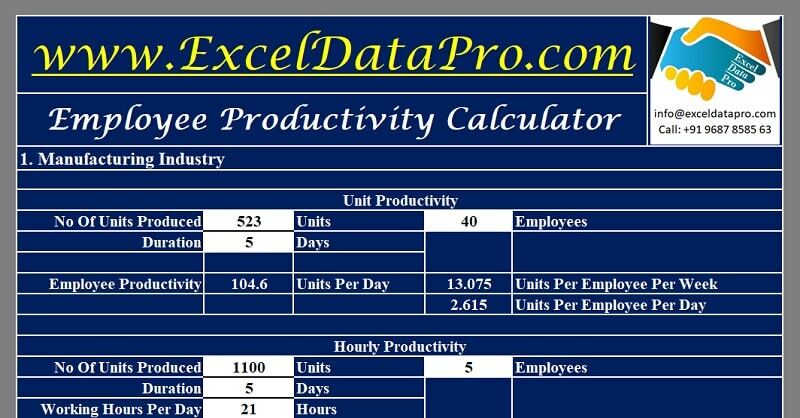 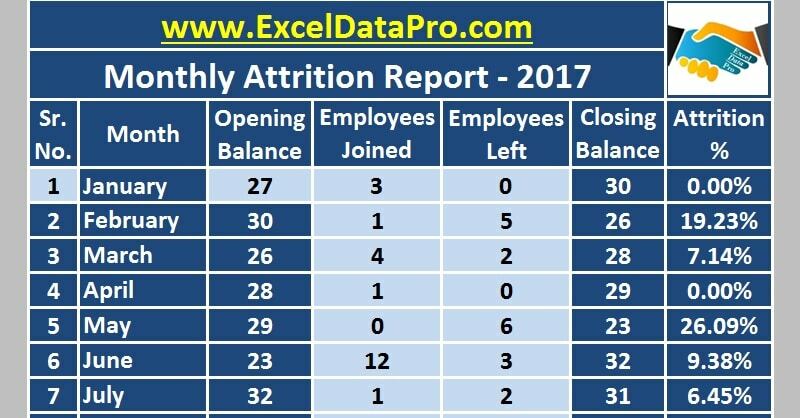 All excel templates are free to download and use. 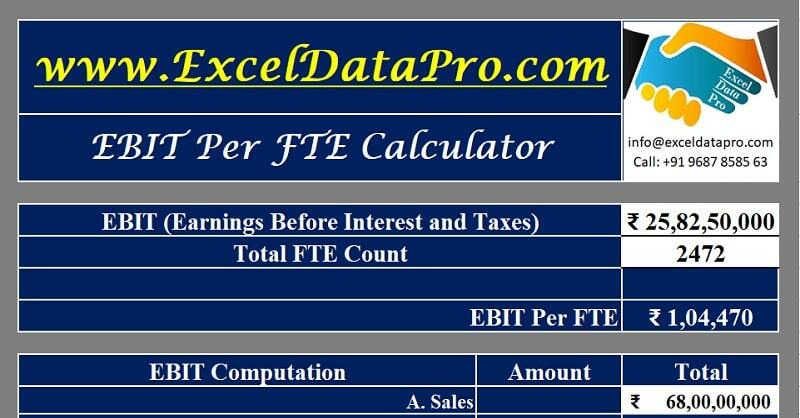 Click the link to visit the page to find the detail description about each template and understand how each template has been prepared. 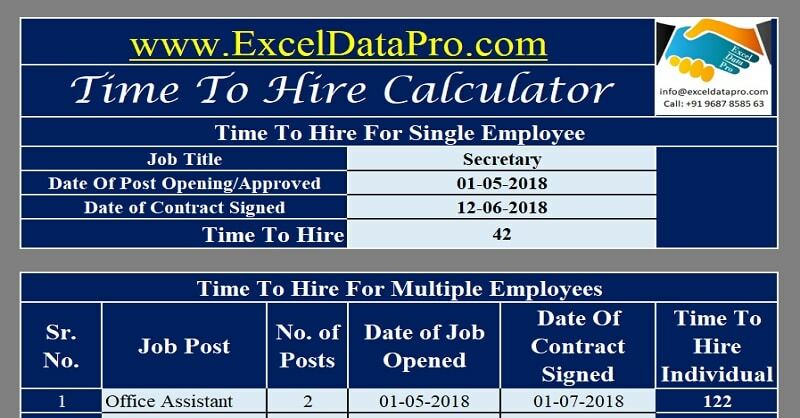 If you didn't find any HR template here, please use our suggestion form. 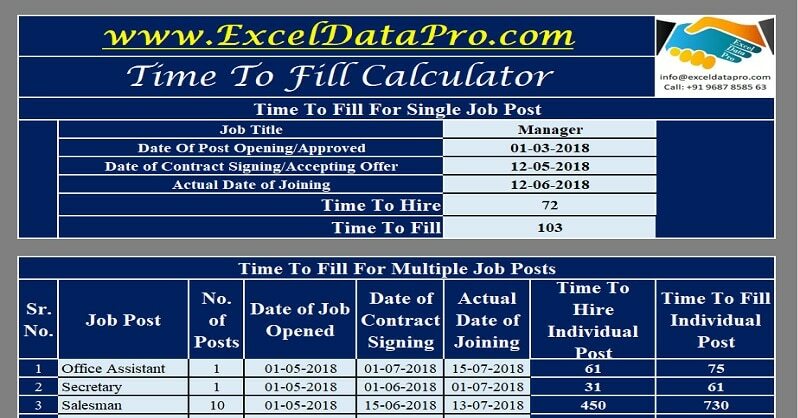 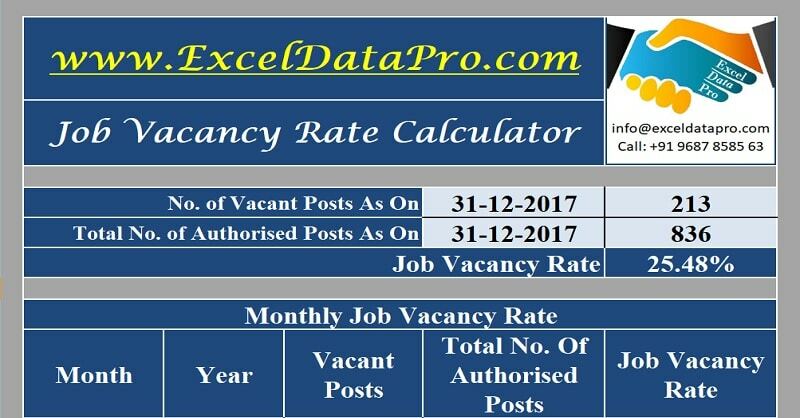 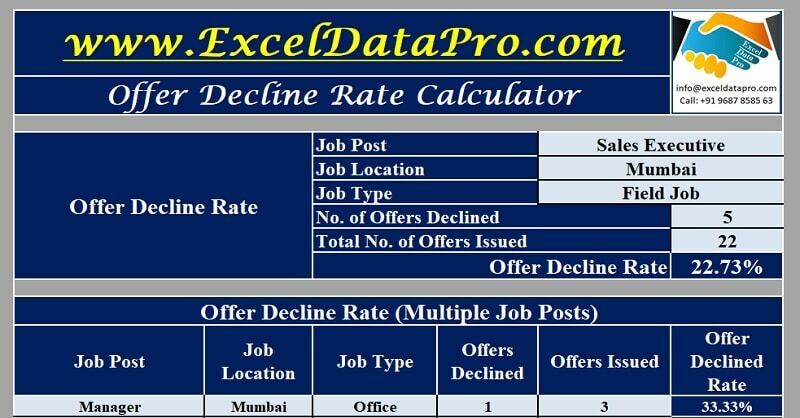 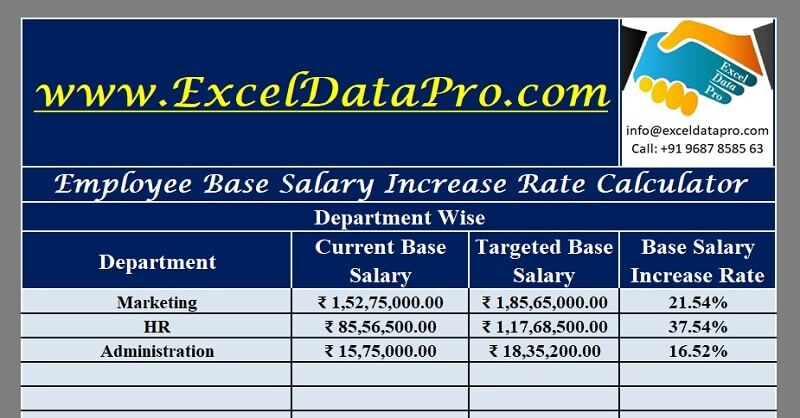 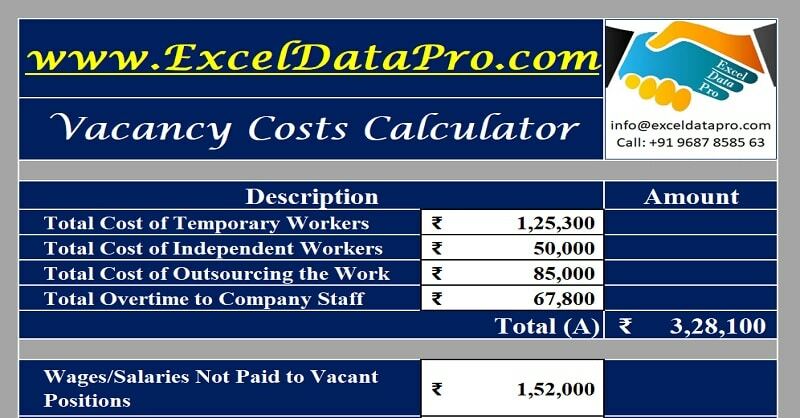 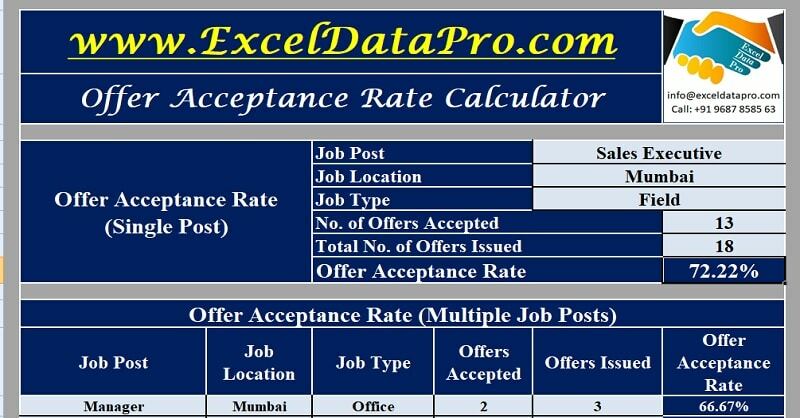 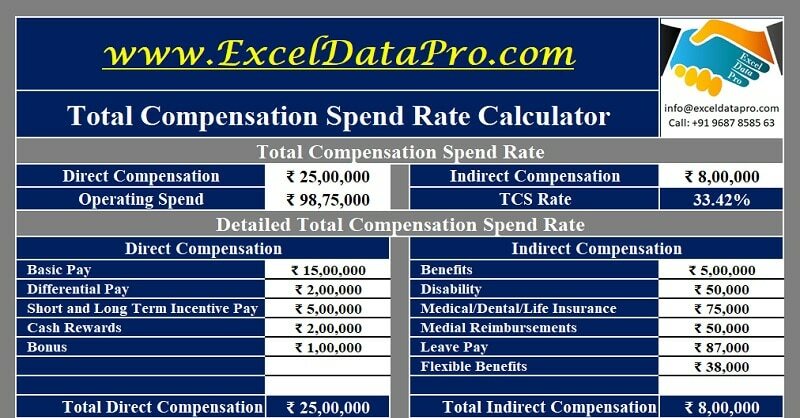 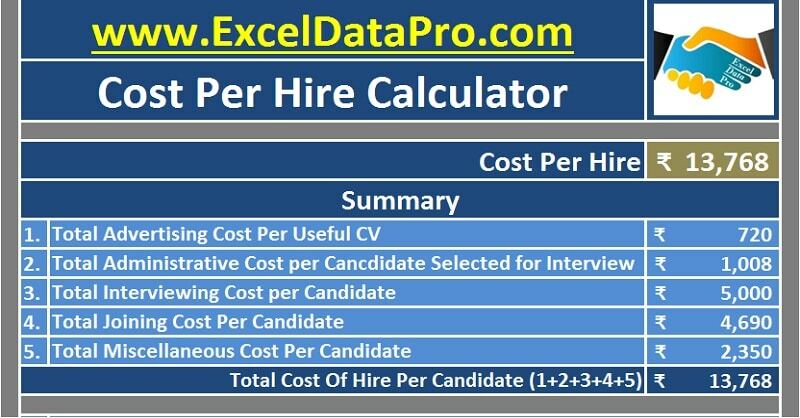 Filed Under: HR Metrics Templates Tagged With: Excel 2007, Excel 2010, Excel 2013, Excel 2016, Formula To Calculate Job Vacancy, How To Calculate Absent Rate Calculator, How TO Calculate Job Vacancy Rate?, HR, HR Glossary, HR Metrics, HR Templates, HRM, Human Resources, Job Vacancy Rate Calculator, Job Vacancy Rate Calculator Excel Template, microsoft excel, ms excel, What is Job Vacancy Rate?, What is Job Vacancy? 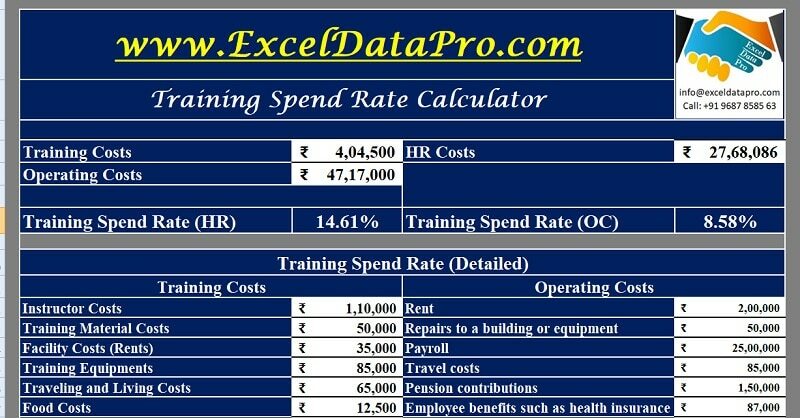 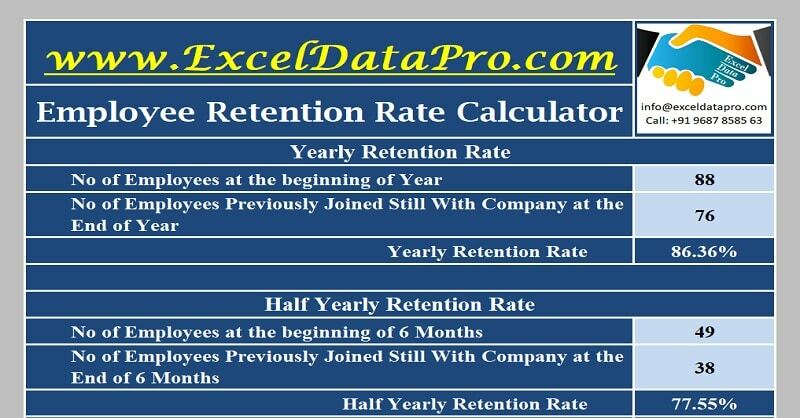 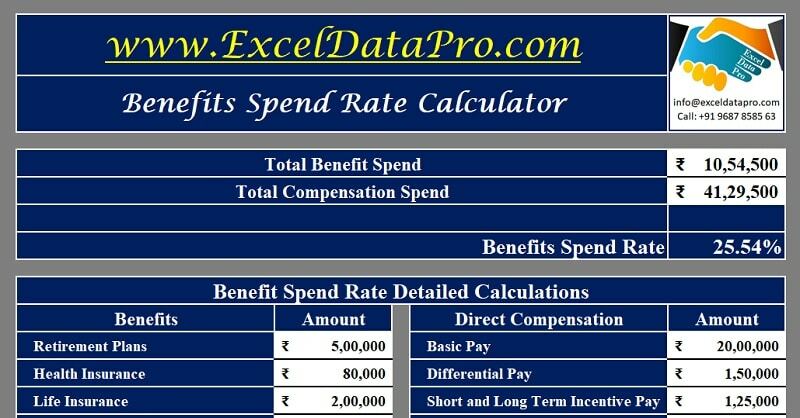 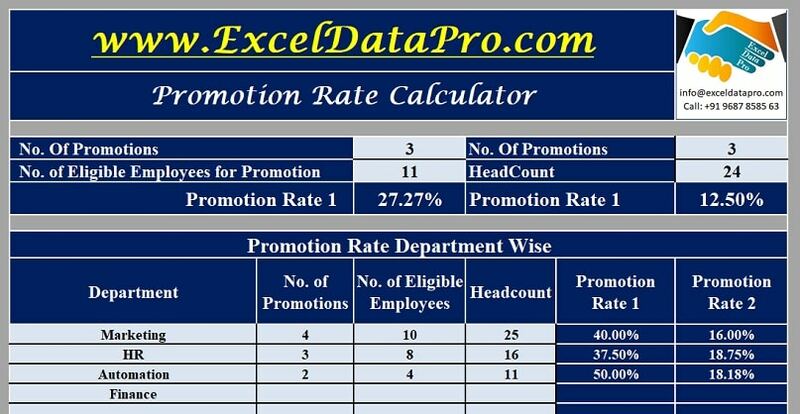 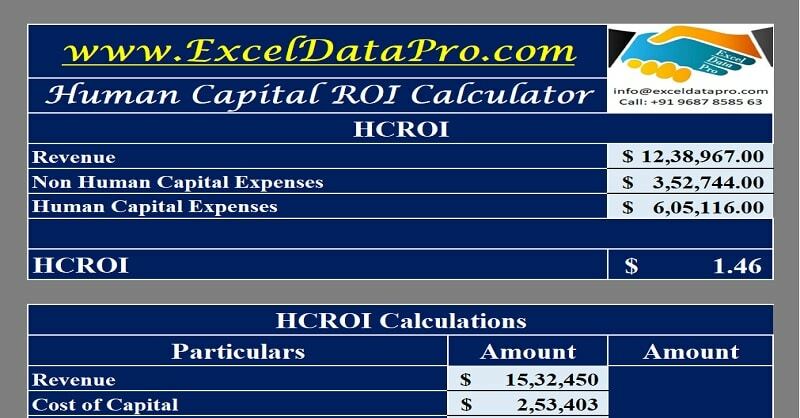 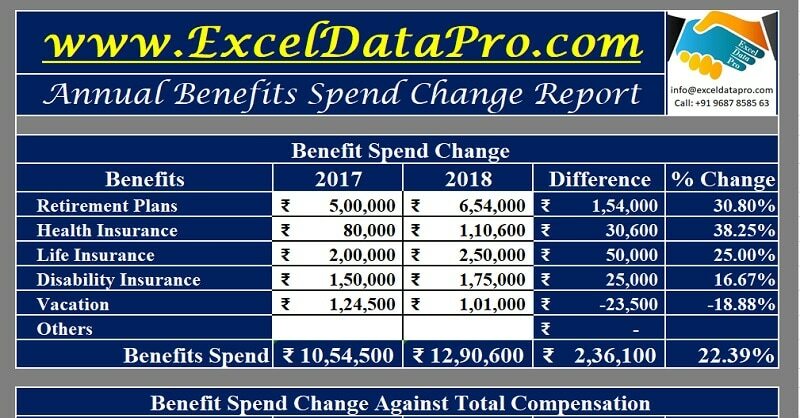 Filed Under: HR Metrics Templates Tagged With: Excel 2007, Excel 2010, Excel 2013, Excel 2016, Excel Template, how to Calculate Offer Acceptance Rate?, HR, HR Glossary, HR Metrics, HR Templates, HRM, Human Resources, microsoft excel, ms excel, OAR, Offer Acceptance Rate Calculator, Offer Acceptance Rate Calculator Excel Template, What is Offer Acceptance Rate? 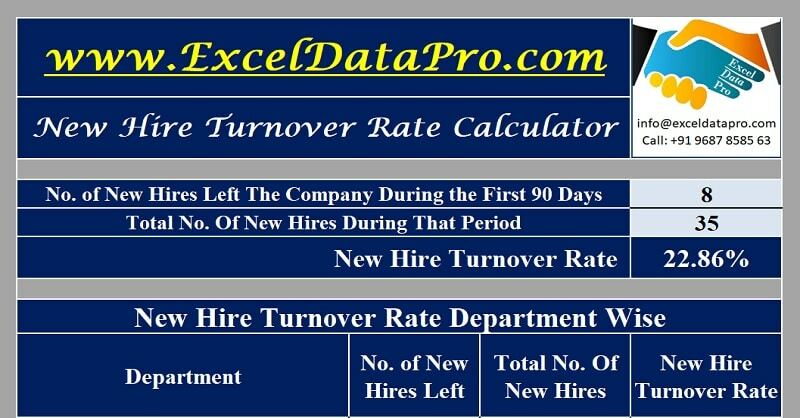 Filed Under: HR Metrics Templates Tagged With: excel, Excel Template, Formula To Calculate New Hire Turnover Rate, How To Calculate New Hire Turnover Rate?, HR, HR Metrics, HR Templates, HRM, Human Resources, New Hire Turnover, New Hire Turnover Rate, New Hire Turnover Rate Calculator, New Hire Turnover Rate Calculator Excel Template, What is new hire turnover rate?